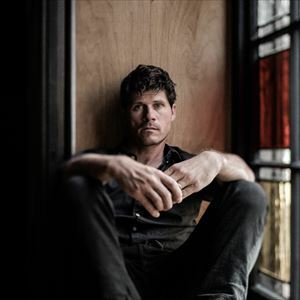 Charismatic singer-songwriter and multi-instrumentalist Seth Lakeman recorded and released acclaimed, ninth solo album The Well Worn Path on a short break from his whirlwind world tour with rock legend Robert Plant and the Sensational Space Shifters in 2018. Seth has been touring around the world for the last year with Robert Plant, playing as part of his band and also opening shows with his own set. Since the Mercury Prize nominated "Kitty Jay" (recorded in his kitchen for £300), the follow-up gold selling "Freedom Fields" Seth Lakeman has relentlessly pushed his musical boundaries and those of folk and roots music. The Well Worn Path is a return to a no-nonsense, organic, classic folk-rock approach with hints of Fairport Convention, Neil Young, Nick Cave and Billy Bragg. Plus Lakeman's trademark foot-stomping, fiddle bow-shredding and soaring vocals. "A searing and righteous cracker" Daily Mirror ???? "Lakeman looks back to rock out......classy album" Songlines ???? "Lakeman continues to impress and surpass himself" entertainment-focus.com ??? ?